Pretoria, South Africa – 19 November 2018 – Across the globe, today marks World Toilet Day – an official United Nations international observance day to inspire action to tackle the global sanitation crisis. Worldwide, it is estimated that 4.5 billion people live without safely managed sanitation. This is according to UN-Water, who is driving the international campaign. The organisation further states that access to a safe functioning toilet has a positive impact on public health, human dignity, and personal safety, and goes on to explain that there are nowhere near enough safe toilets in the world. World Toilet Day was set up to encourage people to think about the issues in a new way. Cleaning and servicing toilets and portable sanitation units cannot be done without the use of chemicals, but Lemon Trees pride themselves on using chemicals that are biodegradable and are not harmful to people or the environment. The company uses products that are completely free of formaldehyde and can give customers peace of mind that the sanitation services do not cause harm to the environment. Mr Jamneck explains, “The chemicals that we use are not the cheapest on the market, but they do not contain carcinogenic substances that are usually found in the products used elsewhere in the portable sanitation industry. Although there are no set of standards to govern the industry here in South Africa, Lemon Trees support International standards. We are proud members of the Portable Sanitation Association International, based in the USA. Long Distance Sanitation was established in 1996 and operated as a portable toilet service company. 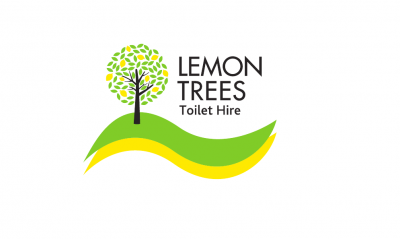 In 2010, the owners recognised a need for high quality portable sanitation facilities, with high level service standards, and Lemon Trees Toilet Hire was born. Lemon Trees concluded a BEE transaction in 2013 and proudly boasts with 51% black woman ownership.